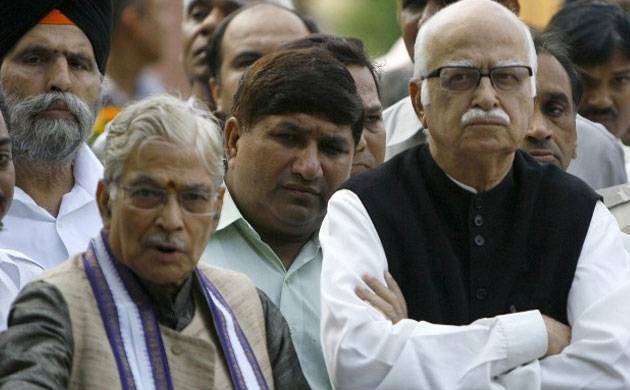 Senior Bharatiya Janata Party (BJP) leaders LK Advani, MM Joshi and Uma Bharti will be tried for criminal conspiracy in the 1992 Babri Masjid demolition case as the Supreme Court on Wednesday allowed the CBI plea to restore the charge against them. "We have allowed the CBI appeal against the Allahabad High Court judgement with certain directions," a Bench comprising Justices PC Ghose and RF Nariman said. Later, the BJP has said it will study in detail the Supreme Court's verdict before offering comments. Its senior leader and Law Minister Ravi Shankar Prasad, however, asserted that his party highly respects its senior leaders. # The apx court said separate trials being conducted in trial courts at Raebareli and Lucknow will be clubbed and conducted in the capital of Uttar Pradesh only. # It also said that the trial judge of Lucknow "shall not be transferred" till conclusion and delivery of judgement in the sensational case. # The court further said that no party shall be granted adjournment without the sessions judge being satisfied of the reasons for it. # It also directed the probe agency CBI to ensure that prosecution witnesses appear on each and every date for recording of evidence in the case and the trial court should start the proceedings within four weeks from today (April 19). # It, however, made it clear that there would be no de novo (fresh) trial in the matter. # The bench also directed that its order should be followed in letter and spirit and granted liberty to the parties to approach it if its directions are not followed. Senior advocate KK Venugopal, appearing for Advani and Joshi, had vociferously opposed the proposal for holding joint trial and transferring their case from Raebareli to Lucknow. Unfazed by the apex court order that she be tried for "conspiracy" in the Babri mosque demolition case, Union minister Uma Bharti has said she is ready to sacrifice her life for construction of Ram temple in Ayodhya. "Grand Ram temple in Ayodhya is my dream. Ready to go to prison or be hanged for India and Ram Mandir," the senior BJP leader told reporters here. She said she will go to Ayodhya tonight and visit the makeshift temple to seek Ram Lalla's blessings. Asserting she was "proud, unapologetic" and does not repent her role in the Ram Janmabhoomi campaign, Bharti said she is ready to face whatever punishments come her way as she fights for the construction of Ram temple. She dismissed the conspiracy charges. "There was no conspiracy. Everything was in the open. I took part in Ram temple campaign with pride and confidence. I had given up the post of Chief Minister for the sake of the tri-colour. "I will do whatever it takes to see the Ram temple is constructed...Ram temple will be built, koi maai ka laal use rok nahi sakta (no one has the power to stop it from being built)," Bharti said, adding she was present at the mosque site on December 6, 1992. The Babri mosque was demolished on the day by a rampaging mob. On the Congress party, Bharti said she will not reply to any of its allegations on the issue. "Sonia Gandhi was at Rajiv Gandhi's home when the 1984 Sikh riots happened. Does this mean Soniaji was part of conspiracy?" she asked. RJD chief Lalu Prasad has alleged that the Supreme Court order allowing trial of top BJP leaders in the Babri Masjid case was a "well-thought-out politics" of the Prime Minister to remove L K Advani's name from the Presidential race. "The BJP makes no difference between itself and others while playing dangerous politics against anyone considered opposed to Modi," he claimed. The Congress has said the guilty in the 1992 Babri Masjid demolition case should be punished. "The Supreme Court has spoken. Let justice be done and the guilty punished,? Congress chief spokesman Randeep Surjewala said, reacting to a Supreme Court order restoring a criminal conspiracy charge against BJP leaders L K Advani, M M Joshi and Uma Bharti. However, Union minister Arun Jaitley virtually ruled out resignation of Uma Bharti from the Cabinet and described as "hypothetical" the possibility of the ruling having any bearing in selection of candidates for presidential and vice presidential polls. "This case is going on since 1993. Somehow it is going on and no new situation has arisen. So the situation which was prevailing will continue," he told reporters in New Delhi.